When I started thinking about the project, the dream situation that came to mind was restoring a 1960’s American muscle car – something like a Ford Mustang or Chevy Camaro. I started looking on Craigslist, Ebay and in various car and auto magazines for anything that might work. I had opened my mind to anything in the 60’s to 70’s range that seemed to fit the bill in terms of being the right balance of not-too-much work and enough work to keep me busy, as well as the right price. 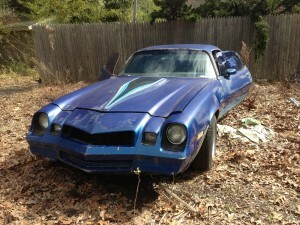 I visited and briefly entertained the idea of a 1979 Chevy Camaro Z28, but it turned out to be too much work for the timeframe of completion for the project – about six months. One night I was doing my routine search of Craigslist when I spotted the first car that was a remote possibility. 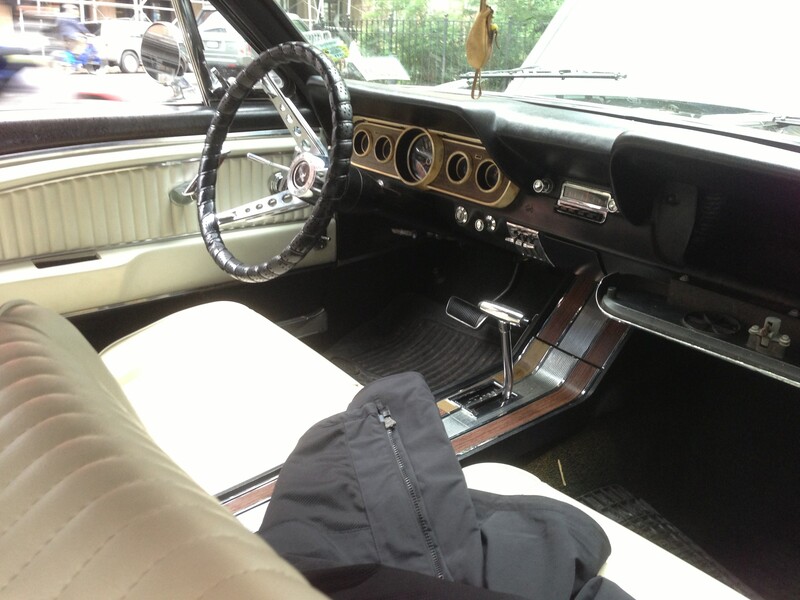 The listing was for a 1966 Ford Mustang with 110,000 miles, in need of some cosmetic and mechanical work, but otherwise in good structural shape, and running condition. Further inquiry revealed that it was originally a California car, now living in New Jersey with its third owner – all of which I took to be a good sign. The photos looked good, but then the owner sent us a video, which we shared with our mechanic, Joe, and from that point, it only took three weeks for the car to pull in to my driveway. 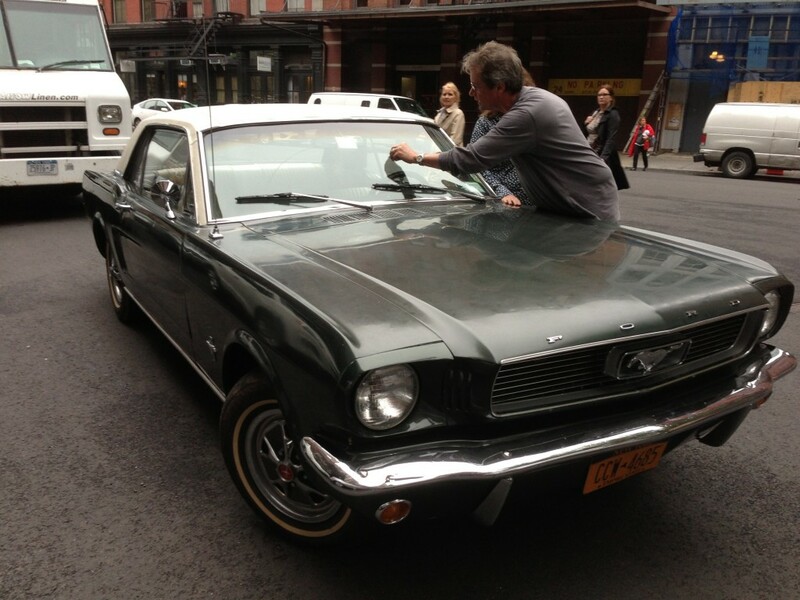 A week after receiving the video, on Thursday, June 14th, we met the owner in lower Manhattan to see and test drive the car. While we were looking the car over, a man approached us, thinking we had broken down. We explained we were considering purchasing the car and he proceeded to sing its praises. He told us what a perfect first project car it would be, how great of a condition it was in, and how easy it would be to obtain and replace any parts. We still wonder if he was a plant by the owner… It didn’t matter, we were sold anyway. The following Thursday, June 20th, we went back into NYC, check in hand, and the purchase was made in the owner’s extremely cool Tribeca loft. The guys in the garage where the car was waiting looked at us enviously as we picked up the keys. Apparently they had been lusting after it too. We then began our journey home.